I hope that those interested in EMDR therapy will find this post useful. However, this is a long post – you’ve been warned! Why did I feel I needed EMDR? If you’ve been following my blog or Twitter, you probably know that I have recently undergone EMDR therapy, or eye movement desensitization and reprocessing (yeah, let’s stick with EMDR). This was due to certain memories that kept troubling me, as well as difficulty concentrating, sleeping, and dealing with the memories calmly. 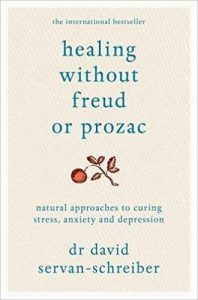 I was recommended EMDR many years ago, and last year I came across it again in the brilliant Healing Without Freud or Prozac by David Servan-Schreiber. I had been diagnosed with PTSD, which apparently isn’t just for war veterans and survivors of horrific abuse. Most of my difficult feelings were surrounding my parents’ divorce: I could replay the night that it happened with unusual clarity, although I had no recall of the time periods around it, and any related thoughts brought intense waves of feeling. In the NHS therapy sessions that I had before starting private EMDR therapy, I’d spend the majority of sessions crying or on the verge of a panic attack (or in the midst of one). Clearly, the divorce had affected me in a very strong and strange way. Yet, as it turned out, it wasn’t the root cause of my problems. When going through a chronological history of my past with my new therapist, I briefly mentioned that sometime before the divorce (I can’t easily place either event) I saw my sister nearly drown. Like the divorce, I could re-play it so clearly in my mind, and my body felt like I was re-experiencing it when I did. It’s quite hard not to feel sceptical of the treatment before and during therapy. My therapist used a light bar, and it was difficult not to feel stupid watching a light moving left to right. However, it did become a lot more natural, and I was able to “just let things happen” more easily (I was told to do so many times). If you struggle with OCD, as I have over the years, it does make the therapy more difficult, and so make sure that you communicate with your therapist the best you can. After each thirty-second (more or less) interval of focusing on uncomfortable bodily sensations whilst watching the lights, I was asked how I felt, and if anything had come up. Yes, it was often tempting to tell white lies. A few times I said that I felt calmer in order to try and move away from the discomfort, but it was clear that wasn’t the truth. The therapist continued to suggest further intervals of watching the lights until I genuinely seemed calmer, or until ta-dah!/lightbulb moments occurred (I’m sure this isn’t the clinical term). Similarly, after following the light bar whilst thinking about the thoughts and feelings associated with my sister almost drowning, I came up with the following: “Anyone would have reacted with panic. However, I was very young myself, and it wasn’t my responsibility to save her”. In the last session I had with the therapist, I did the PTSD scale again. At the beginning of the course of therapy I was scoring very highly, but now I was clinically not suffering from it. It was a relief to hear that, although it’s quite strange to be diagnosed and undiagnosed within such a short space of time. I can talk about the once-troubling events without discomfort, and they feel much more like ordinary memories. However, I am still having disturbed sleep and I still get very easily startled. I’m sure, nonetheless, that with time and rest old habits will decrease, and I’ll feel entirely free from my past. But on the whole, I found the therapy to be immensely helpful, and I’m feeling so much more capable to live and enjoy my life. Love your blog! 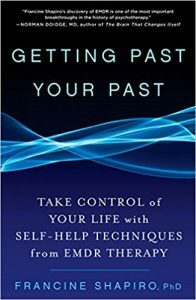 Here's another book for you: Francine Shapiro's new book "Getting Past Your Past: Take Control of Your Life with Self-Help Techniques from EMDR." Dr. Shapiro is the founder/creator of EMDR but all the proceeds from the book go to two charities: the EMDR Humanitarian Assistance Program and the EMDR Research Foundation). Anyway, the book is terrific! 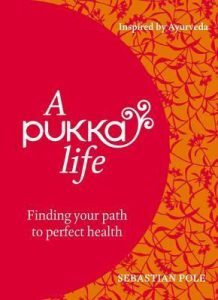 It's an easy read, helps you understand what's "pushing" your feelings and behavior, helps you connect the dots from past experiences to current life. Also gives lots of really helpful ways that are used during EMDR therapy to calm disturbing thoughts and feelings. Thank you – I've now read it and gained so much from it! Wonderful read. In the process of getting EMDR therapy too. Had a panic attack at home since the last session so I'm kind of afraid about continuing with it. But I guess that that's part of the coping process. Did you ever experience anything similar? I recently started emdr and also had anxiety attacks after my grounding session. I was unsure wether to continue or not but eventually decided that I had nothing to lose as my ptsd was already controlling the way I live my life. I had my next full session on tuesday and I must say im really pleased I went after discussing my fears about continuing I felt much more reassured and settled. I know ive still got a very long way to go but im sure even with the baby steps im taking now things will get better and easier. Good luck tom. A friend recently referred me to Tolstoy Therapy & I love it!! Thank you so much — both for your book musings and for sharing so cogently your personal experiences and therapy so that they may help others as well.